Ralph Lauren is offering an Additional 40% off Select Styles with code FINALE at checkout. 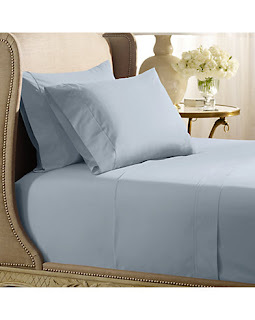 What that looks like (search the HOME section) - I just ordered these Oxford Blue Percale Sheeting ONLY $30.45 (Retail $145). Monogramming is available for this item. Pillowcases are tailored with barrel cuffs. Standard and king pillowcases are packaged in sets of two. Flat sheet is tailored with a 4" cuff and ¼" taping. Twin and full fitted sheets accommodate mattresses up to 18". Queen, king and California king fitted sheets accommodate mattresses up to 21".